Indeed, traveling tourists use their phones in a particular way and with certain limitations. First of all, you have to take into account that cellphones have small screen and download data slower than a desktop computer, in addition, the mobile traveler is in his leisure time and in a place that is unfamiliar and therefore implies certain impositions. 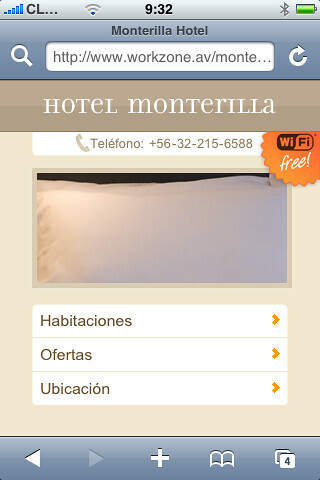 The mobile version of a hotel should not be a duplicate of the original version! Direct call to the hotel, Skype account, and links to social networks. Online reservation widget. This is important for many travelers make last minute booking through the phone – do not miss the opportunity to access that demand. The mobile version has to be reactive and practical, do not hesitate in putting yourself in the travelers position and ask what are the hotel’s features worth to be detailed or being ilustrated by pictures.